Epic Battles. An Unknown Power. A Terrible Enemy. 2 copies of the trade paperback (6x9) are being given away on Goodreads to celebrate the launch of the Prequel Novel, Seeking the Veil. Enter to win an Epic Fantasy Debut (Published 11/2014 on Amazon). And read Part 1 of the Prequel Novel, Seeking the Veil, for FREE (on Amazon & Kobo). Or sign up for the Newsletter and get the complete 3 Parts of Seeking the Veil for Free. Get to know Hestea, and get ready for the battle to come. 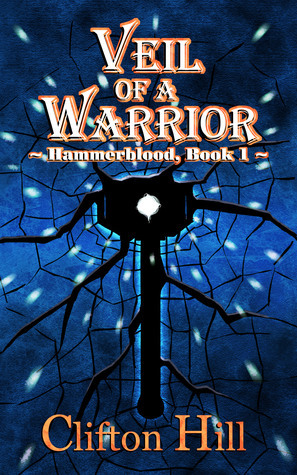 Hestea Hammerblood left everything behind to fight in a war of the centuries. Finding himself in a fractured land, under a foreign general, with a power he can not explain, Hestea will stand against any odds, even when death is certain. But even a warrior of legend has secrets and a man that seems invulnerable can still be hurt. In Veil of a Warrior, the enemy is powerful. Magic will fly, armies will collide, friends will die and the dark magi strike fear with their power.